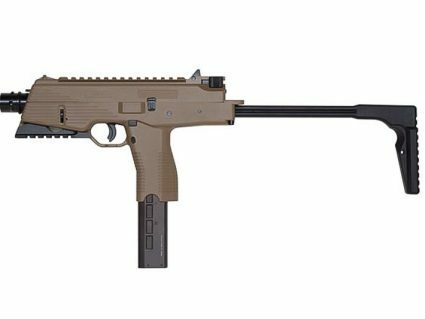 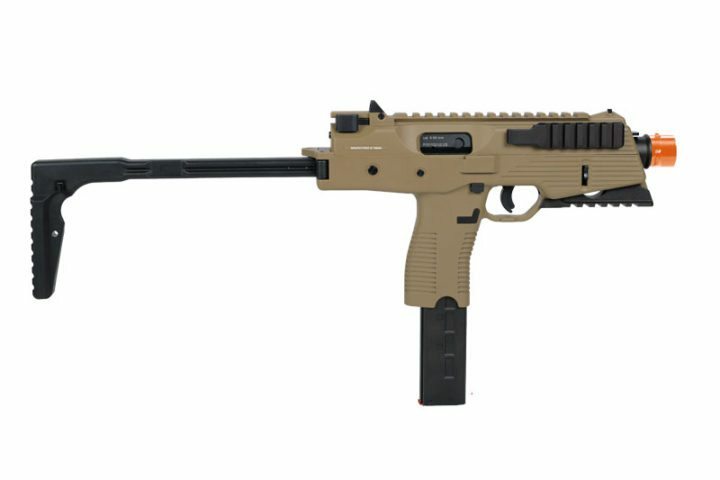 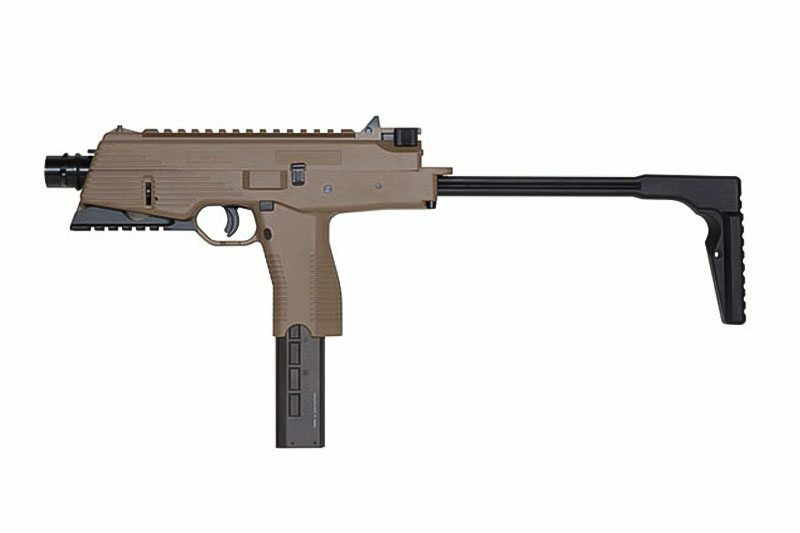 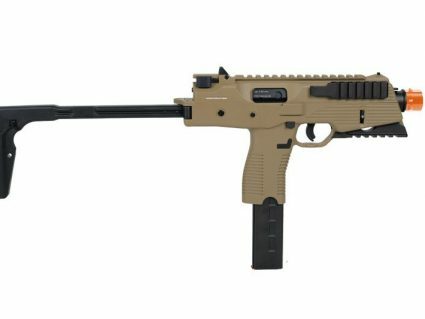 The KWA KMP9 series is based on a small lightweight 9mm submachine gun and features a integrated folding stock and a molded foregrip to provide a stable shooting platform for the user. 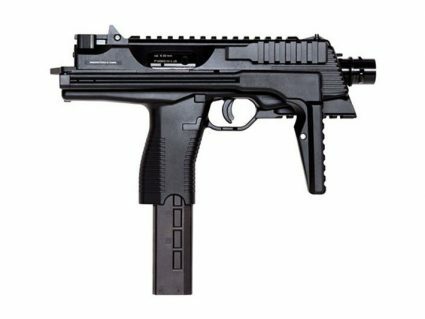 The KMP9R variant features a bottom accessory rail in place of the molded fore grip allowing for attachment of accessories like flashlights, laser units, or removable foregrips. 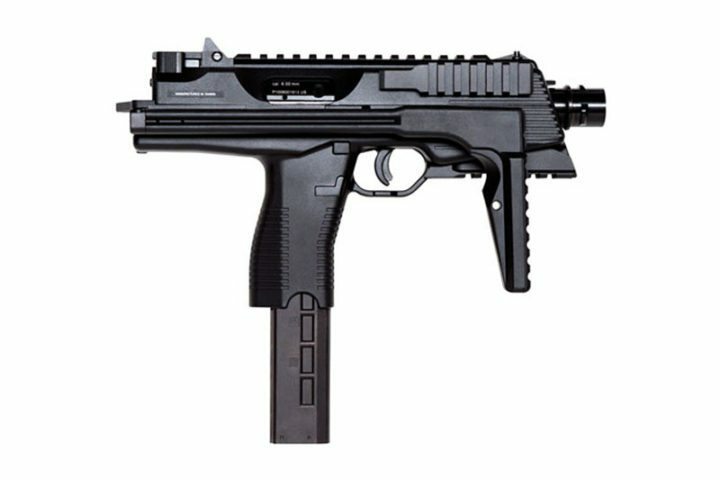 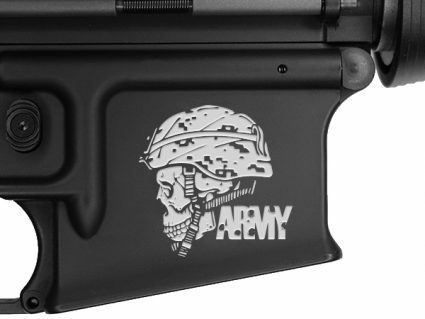 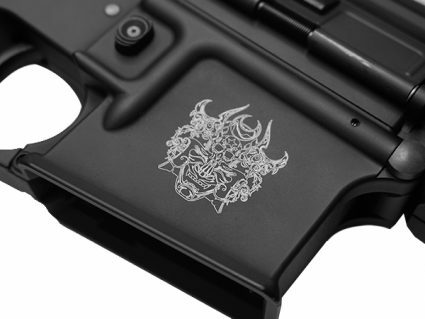 Both models have an accessory side rail as well as a top accessory rail for optics and other weapon attachments. 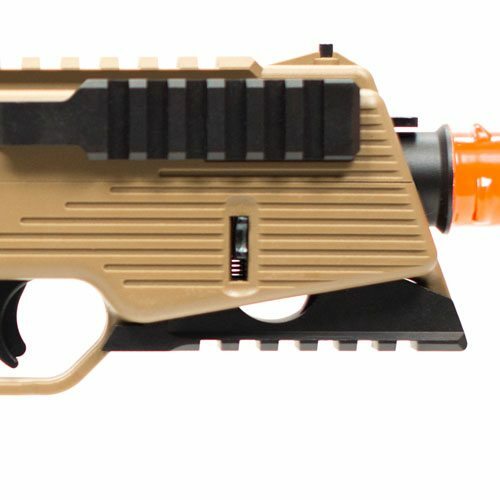 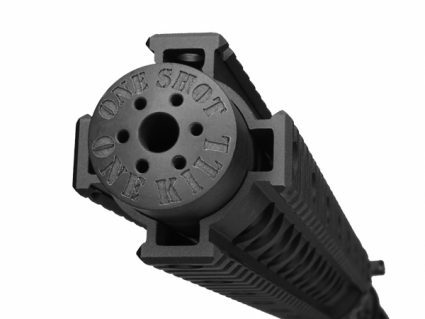 KWA has also produced a CQB bolt assembly that can easily be swapped to reduce the exit velocity of the weapon for indoor CQB environments. 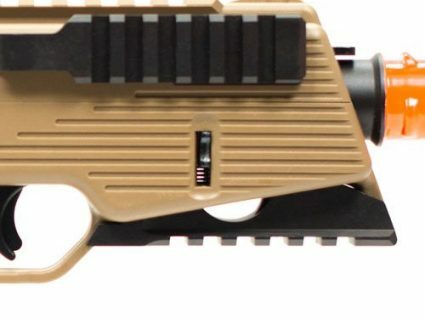 With three color options and two variations available, the KWA KMP9 series provides a large amount of firepower in a small, compact, tactical package.